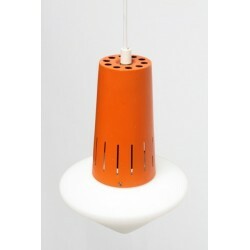 Nicely designed small hanging lamp from the 1960's. 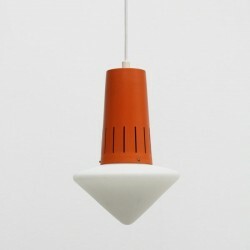 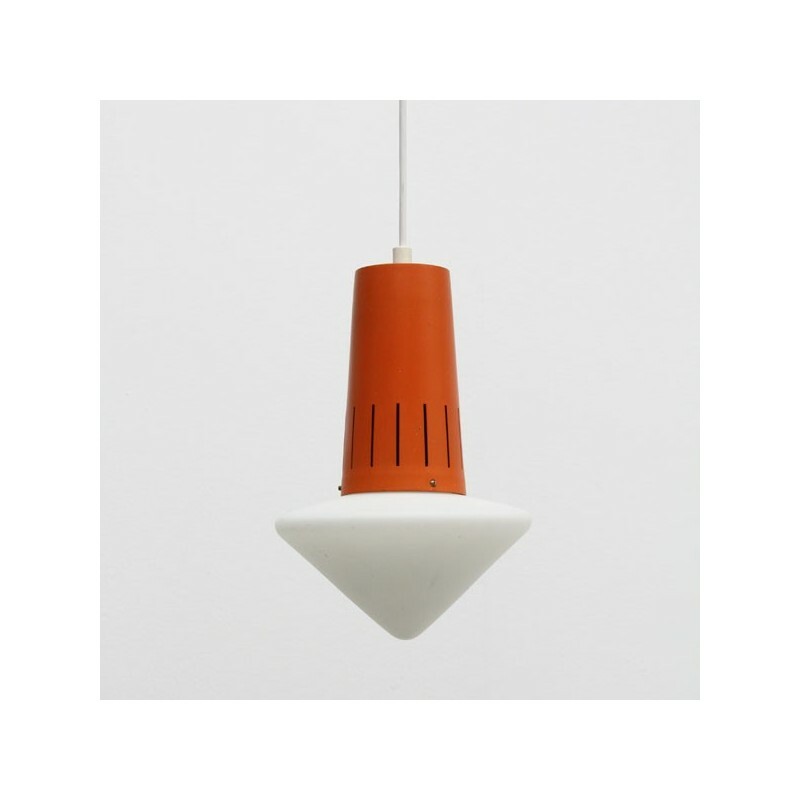 The lamp is made from a metal part ( orange) and a white glass bulb. The condition is good given it's age, see detailed pictures. 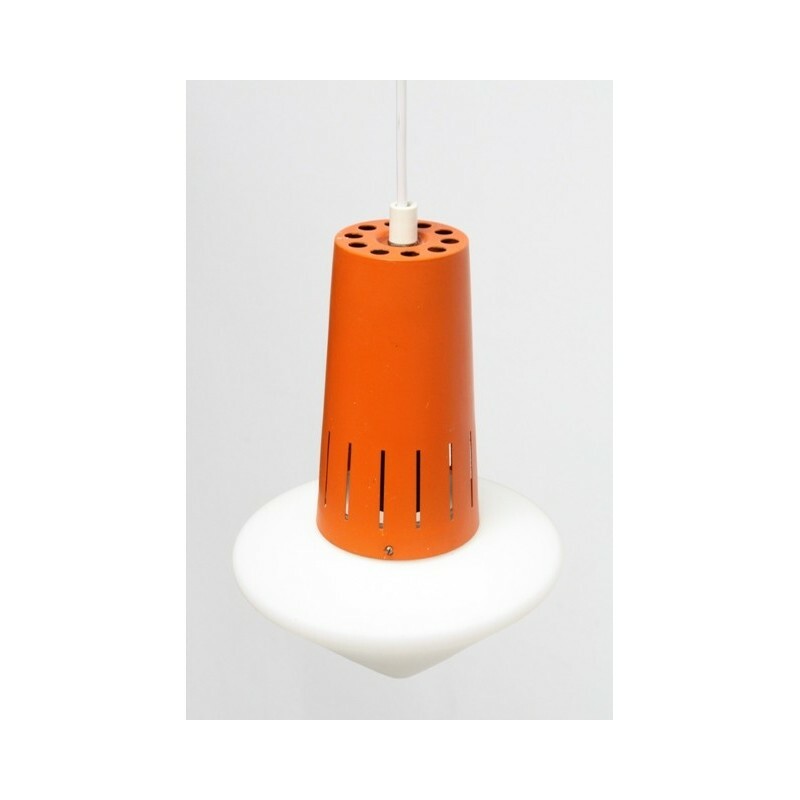 The dimension is 18 cm in diameter and 25 cm in height.